Do you take a biotin supplement? How does it taste? Oh, you don’t know because it’s just a pill that you toss back with a gulp of water? 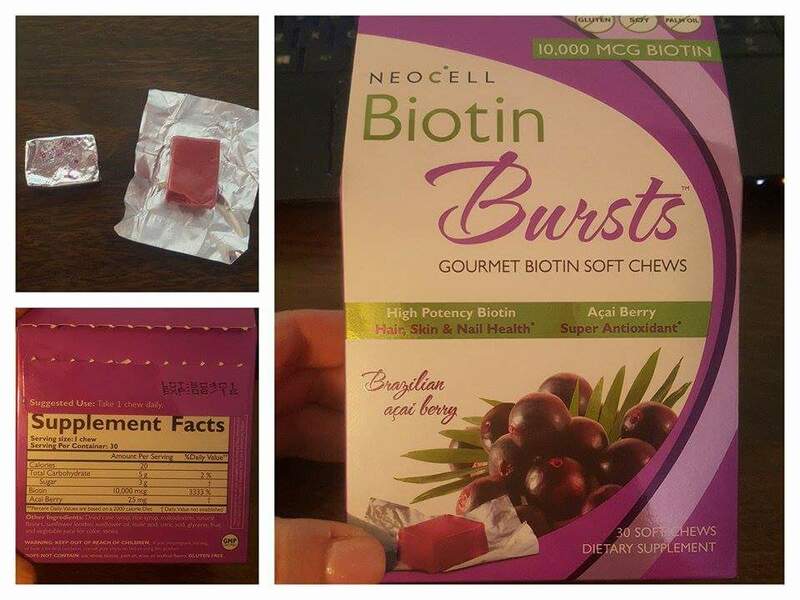 Then you NEED to try the Biotin Bursts from Neocell. I am all about taking the supplements you need in as close to candy form as possible and these are pretty darn close! These little soft chews contain 10,000 MCG of biotin, and have the texture and chewiness like a starburst candy. They have an amazing acai berry taste and it doesn’t taste like a dietary supplement at all! In fact, I think it tastes like a tropical starburst! After I eat my chew for the day I literally have to hide them so I don't eat anymore!